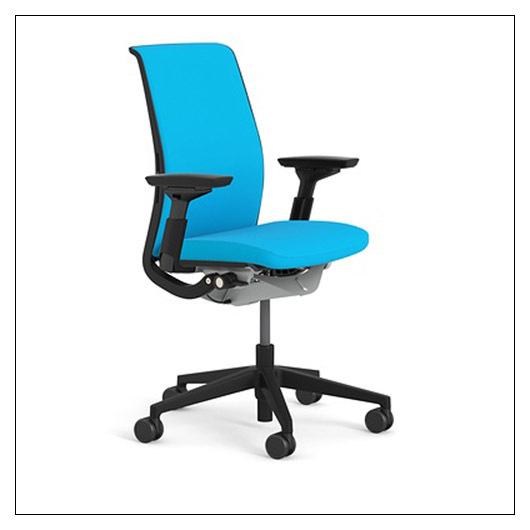 Steelcase Think Chair (R) - Matching Back and Seat Fabric (SC465THINK) at Pure Design / Seating / Workspace ::: Furniture for the Home, Office, Home Office, and More at Pure Design Online! Elmosoft (used for Ebony, Espresso, White) or Steelcase Leather - 100% All Natural Fiber Leathers. Steelcase Leather is a quality leather from the United States. Elmosoft is a higher grade grain leather from Scandinavian cattle.